Snowden Effect: Would Nigerians mind such intrusions? | McKaff's Blog! It used to be Julian Assange that’s heralded as the world’s chief whistleblower, bringing tothe public emails and cables of governments with respect to diplomatic deals and inactions through Wikileaks. But the emergence of Edward Snowden (the former US NSA contractor), “exposing” the covert operations of the National Security Agency (NSA) with respect to deep surveillance/eavesdropping on the different communications – telephone conversations and emails – of the US citizens, and other inter-continental cyber espionage may modify the view on Assange. Much like Julian, Ed’s actions have either be seen by many as heroic, and worthy of emulation or as treacherous bringing to ridicule and disrepute the same government that has been feeding him just because he’s having a psychological complex of feeling..”all spying is wrong”. The outrage against him is more because of his revelations concerning spying and hacking on/of foreign governments, particularly China, than the telephone tappings, on US citizens, expected to be in conjunction with Verizon or any other operator. Invasion of privacy and confidentiality concerns in communications are the main reason why many are seeing him as a hero though. Lots are those who feel technologically abused by the government’s access to their personal conversations and deals. These are the people who always feel naked whenever they pick up their phone receivers or about to compose an email. But rightfully so anyway, everyone should have the right to his privacy in as much as what is being conceived, planned or discussed will not affect the public good. Till it becomes commonplace to deploy Tom Cruise featured Minority Reports‘ PreCrime systems to combat evil as it is being planned though, the government may have to use what it has to protect the society. Aside the possibility of abuse of the surveillance system by the government officials – the coordinator of PreCrime actually abused the system in that movie – such programs can go a long way to keep human lives and properties very safe. Now, going by the recent terrorist activities in Nigeria – Boko Haram bombing and maiming in the North, MEND, and kidnappers in the South East and South South and ritualists and robbers in the South West – and noting the rise of corruption nationwide aided by various technological means; such intrusions should rather be campaigned for. It is true that the Nigerian government is trying to use satellite technology to undertake surveillance of the national borders to curb smuggling and circulation of small arms, but this will not attend to the real issue of prevention of terrorism and corruption in government corridors. 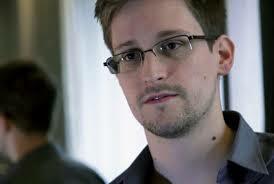 The Snowden Effect – the act of the government massively collecting information relating to telephone conversations and emails of individuals and corporate bodies with the motive of safeguarding the citizens and the national infrastructure from the vicious motive and actions of some disgruntled individuals or groups – is, in my opinion, required to combat the serious scourge of violent elements ravaging the country. For once, the Jonathan government was trying to do something highly commendable by planning to commence a $40m internet surveillance programme which should assist in curbing internet frauds and the like, but outsourcing such a sensitive task to a foreign company (to be probably administered from a foreign country, Israel) caused serious hullaballoo within the populace. The National Assembly had to suspend the contract to quell public outcry. It is however a nice intention that should be localised and supported. It is high time we felt safe within our shores. There is need for greater and respectful collaboration with the telecom service operators in getting access to information for this intelligence stuff, and the readiness of the government to underwrite possible losses the operators might incur while being suspected of assisting the government. It is on record that virtually all operators lost numerous base stations and other infrastructure in Northern Nigeria last year when they were being assumed to be assisting the national security adviser’s office in identifying locations of terrorists. If the government is responsibly executing such intrusions as raised by Ed Snowden – I’m not really campaigning for the part of foreign espionage anyway – nipping evil acts at conception thereby satisfying their sworn duty of security, I think Nigerians would not mind. Share your thoughts on the government invasion of privacy by listening to telephone conversations and emails by dropping your comments below. This entry was posted in Government, Lifestyle, Politics, Technology, Telecoms and tagged $40m internet surveillance, boko haram, ed snowden, edward snowden, mend, sino-american relations, surveillance, telephone conversations. Bookmark the permalink.